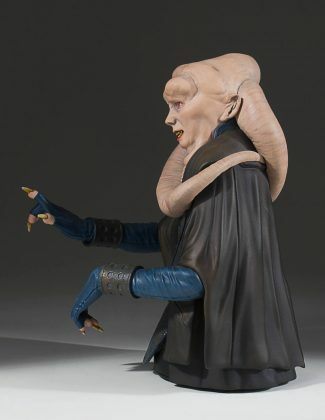 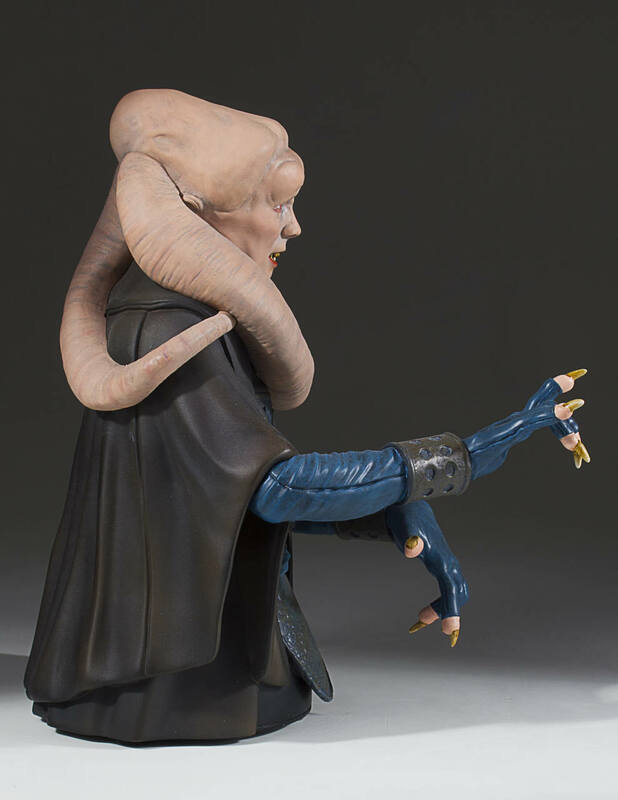 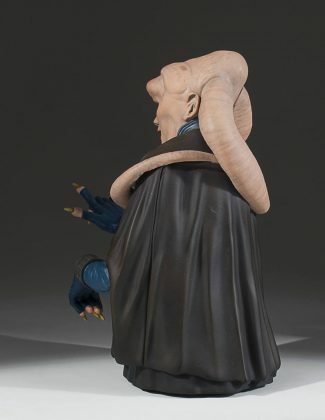 It is unknown how long the Twi’lek known as Bib Fortuna has served as the majordomo to the mighty gangster Jabba the Hutt, but we know that his service dates back at least to the Boonta Eve Classic pod race, won by the young, unknown competitor Anakin Skywalker. 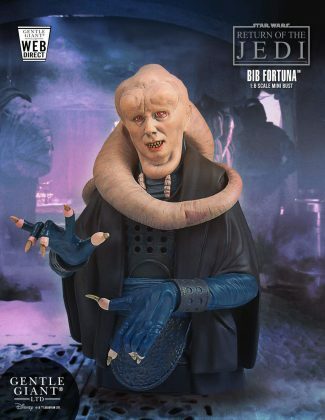 The pasty-faced right-hand-man is still in Jabba’s service several decades later when the son of Anakin Skywalker returns to Tattooine as a Jedi and seeks to bargain with Jabba for the life of his friend. 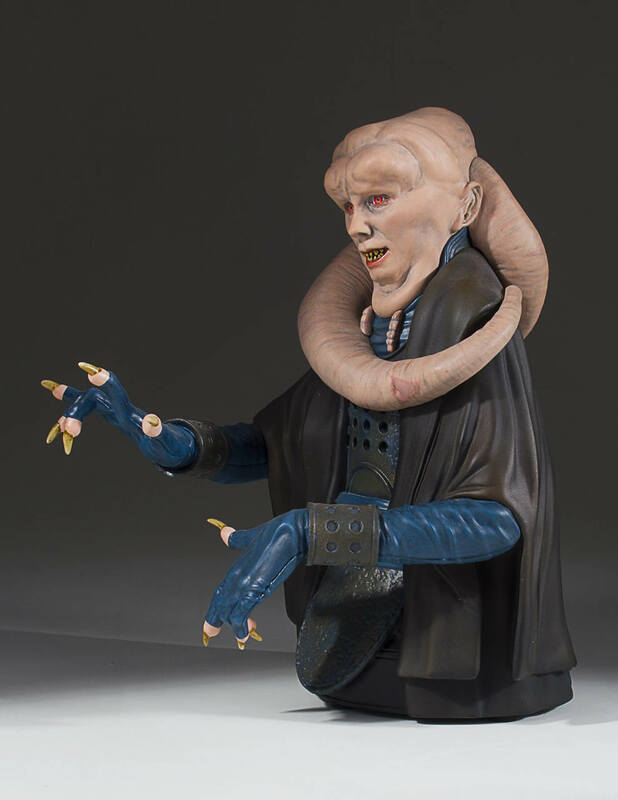 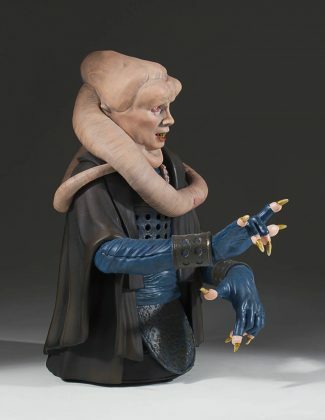 It is during that encounter that Jabba learns that Bib Fortuna is susceptible to “Jedi Mind Tricks.” Fortuna followed the rules of protocol in the Hutt’s court (such as they were), and spoke only in Huttese, though he understood other tongues. 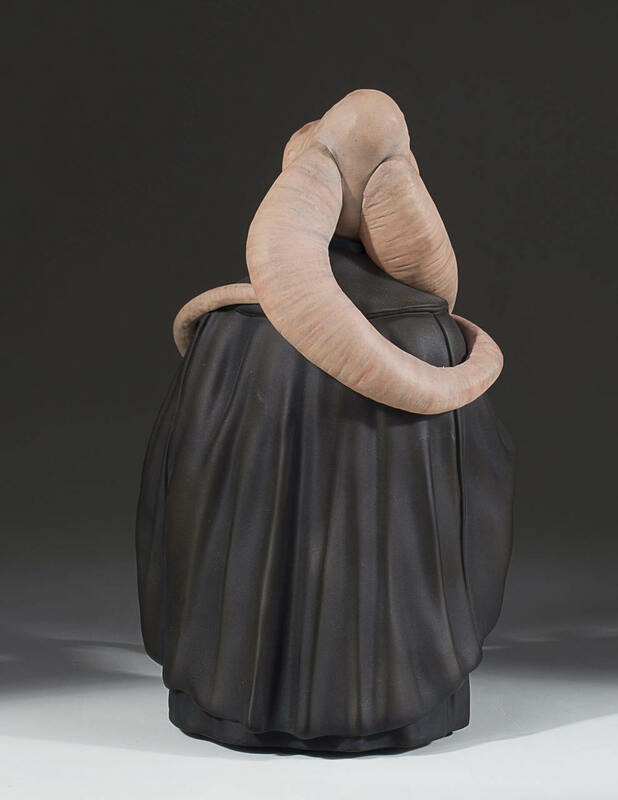 The darkly robed attendant often hovered near Jabba’s ear, offering advice and feeding information to his master. 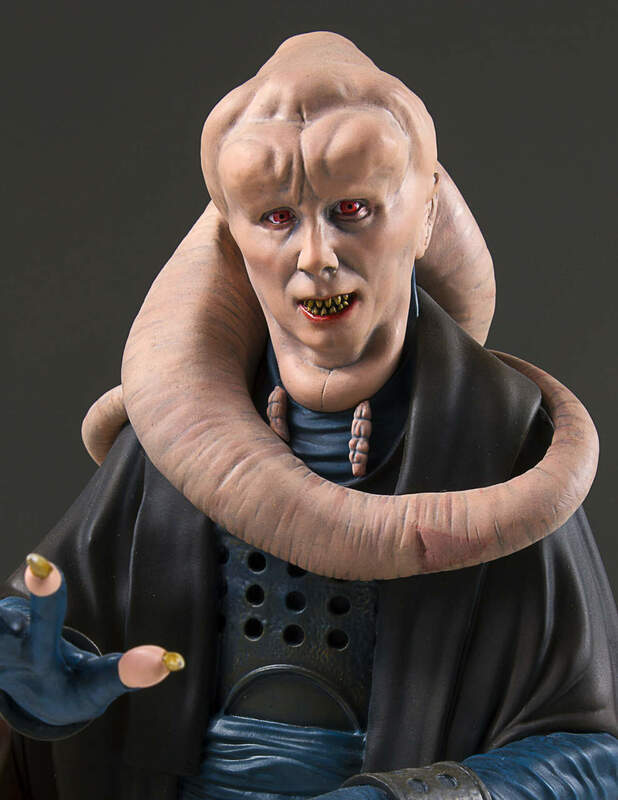 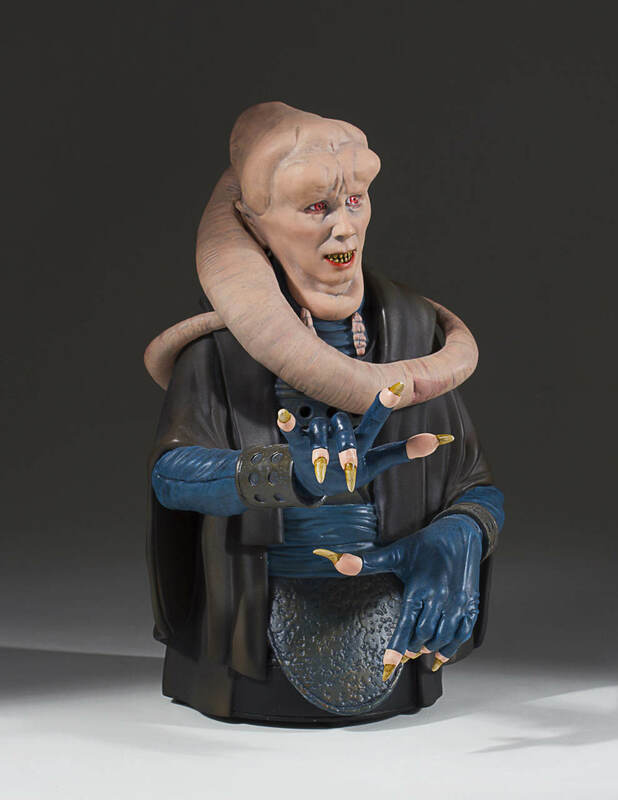 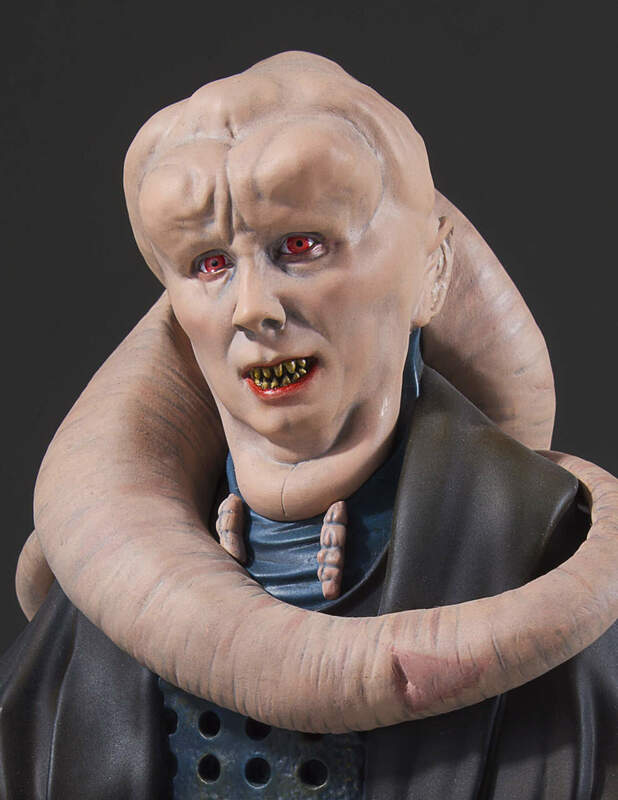 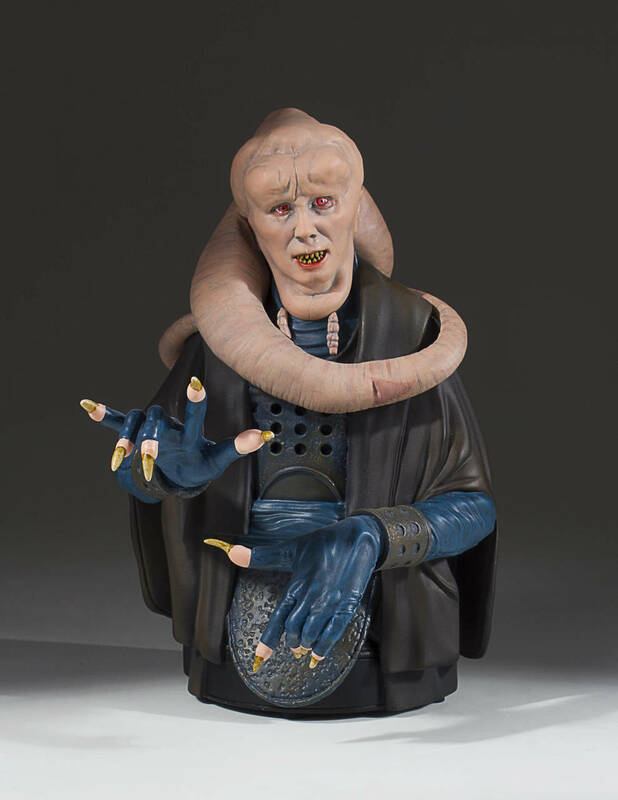 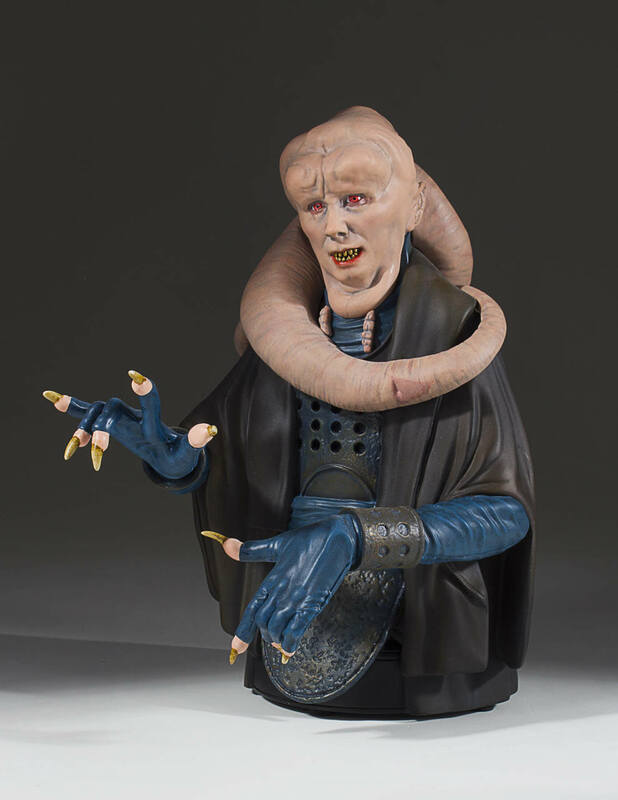 The Bib Fortuna mini bust will be limed to only 750 pieces. 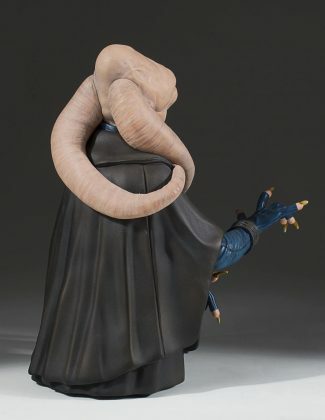 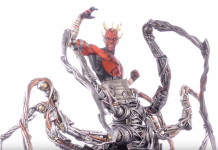 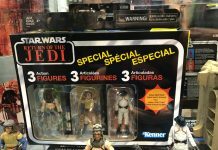 This item will be web-direct only through GentleGiantLtd.com. 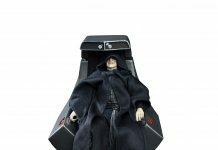 Members of the 2017 Premier Guild will have an exclusive first order window for this mini bust.